The Actors Space is an international centre of Theatre and Film located just outside of Barcelona. 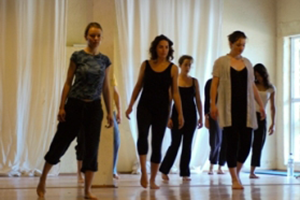 We offer a range of courses and workshops on acting, directing and writing. 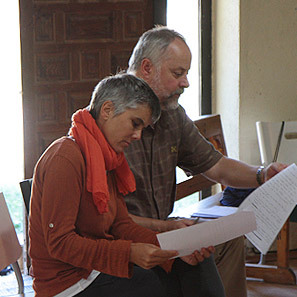 It was born in 1999 as a not for profit organisation after founders UK based Simon Edwards and Marian Masoliver (Barcelona) had a vision: to create a centre for Theatre and Film that would provide the highest level of training and inspiration for actors, directors and writers in a very special location. After 20 years of existence The Actors Space is blossoming with artists coming from all over the world to spend time here to train and get inspired. Our aim is to empower the artist to be free to create. With over 50 years of combined experience as actors, teachers and directors we know that to empower the artist we need to provide powerful tools and techniques and a safe environment to learn. As actors and teachers we have a very high standard of work, which helps the group learn and develop quickly. In a short period of time the students create great work. Working in this way we have seen participants blossom time and time again. 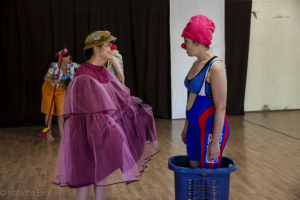 Every year, several groups of artists, theatre companies and individuals come from all over the world to write, paint, rehearse or run their own workshops.